High school students represent their institutions in academic competitions. 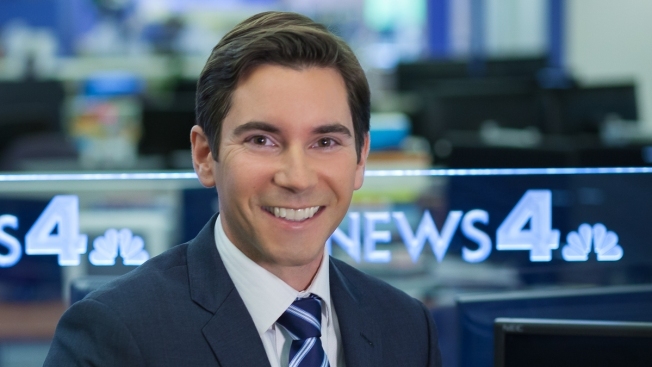 Adam Tuss is News4’s Transportation reporter and anchors the Sunday edition of News4 Today. Tuss joined NBC4 in 2012 after spending eight years reporting for WTOP Radio. During most of his time there, he reported the station’s Sprawl and Crawl franchise which covers transportation around the Washington area. In addition to his radio reporting, he also wrote a column about transportation for The Washington Examiner. Tuss’ reporting has been recognized by the Associated Press and the Society of Professional Journalists, and he has been asked to share his expertise in front of numerous organizations and government agencies. A native of the Philadelphia area, Tuss graduated from Fordham University in New York and got his broadcasting start there, reporting for WFUV as a sports anchor. He moved to WCBS Radio in 2001 then to WILM Newsradio in Wilmington, Delaware a few years later. When he’s not covering news, Tuss tries hopelessly to will Philadelphia’s sports teams to victories. Tuss lives in Falls Church with his wife. twp daughters and son. You can e-mail him story ideas at Adam.Tuss@nbcuni.com and follow him on Twitter @AdamTuss.